On Feb 29, I went to a small local rookery to see how the nesting season was going. I was hoping to get shots of nesting activity and baby birds so, the camera was set for slow action. I started scanning over the nest area when I suddenly saw a burst of activity. 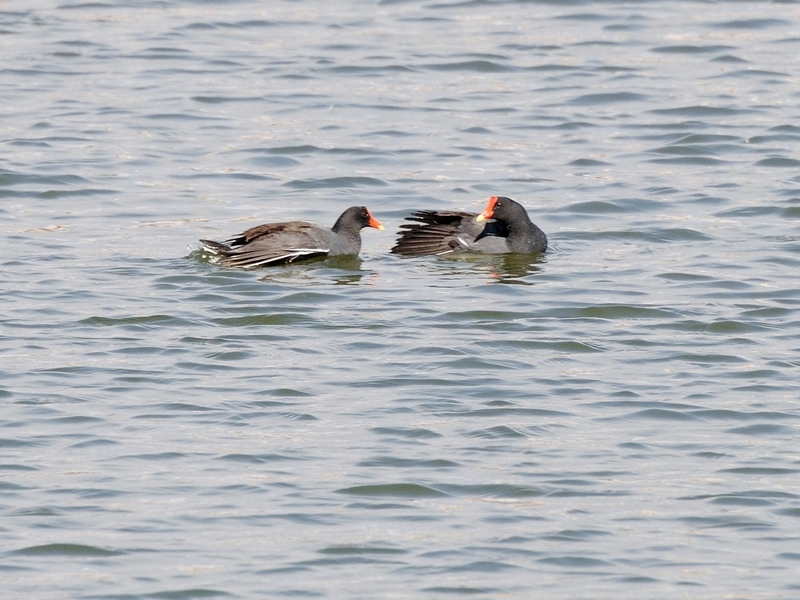 Two Common Moorhens (Gallinula chloropus) were running across the water. You couldn’t really call it flying because the feet were moving as fast as their wings. 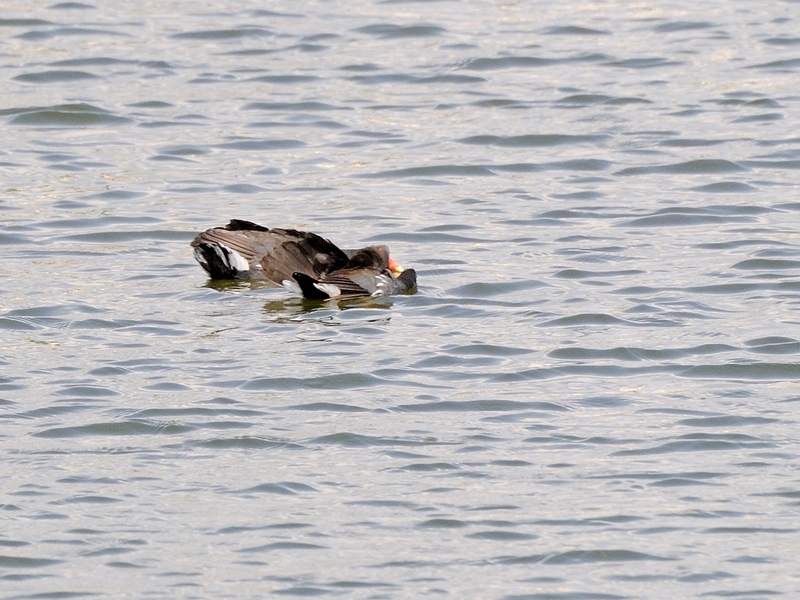 These birds are usually very slow and calm. 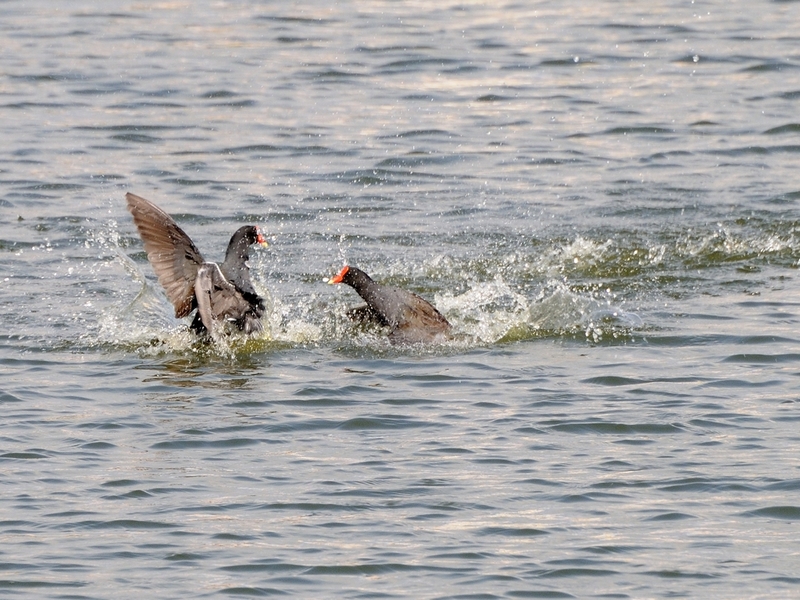 The most activity I usually see is them clucking to each other as they slowly paddle away from me. 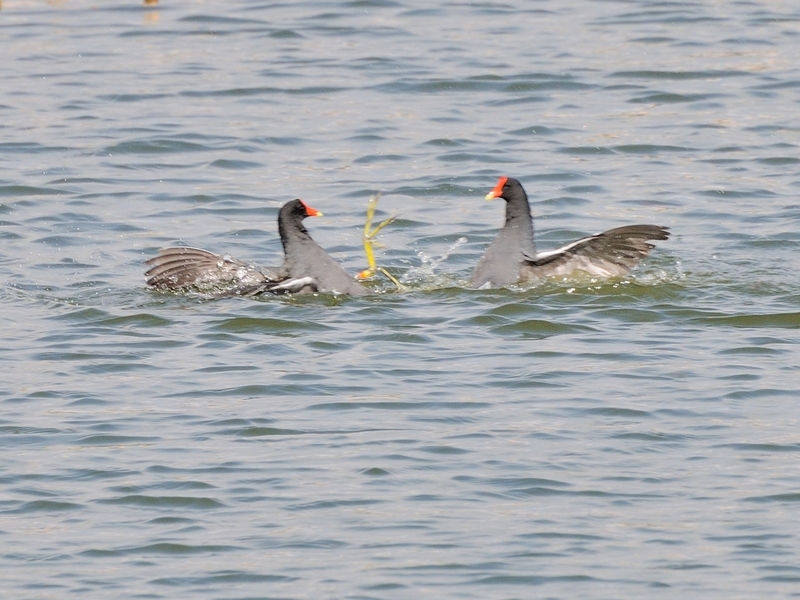 It turned out that this was a fight for dominance between two males. I started shooting as fast as I could but, the 1/500th of a second wasn’t fast enough to stop the action. The one in the lead suddenly executed a quick turn to face his attacker with a threat display. 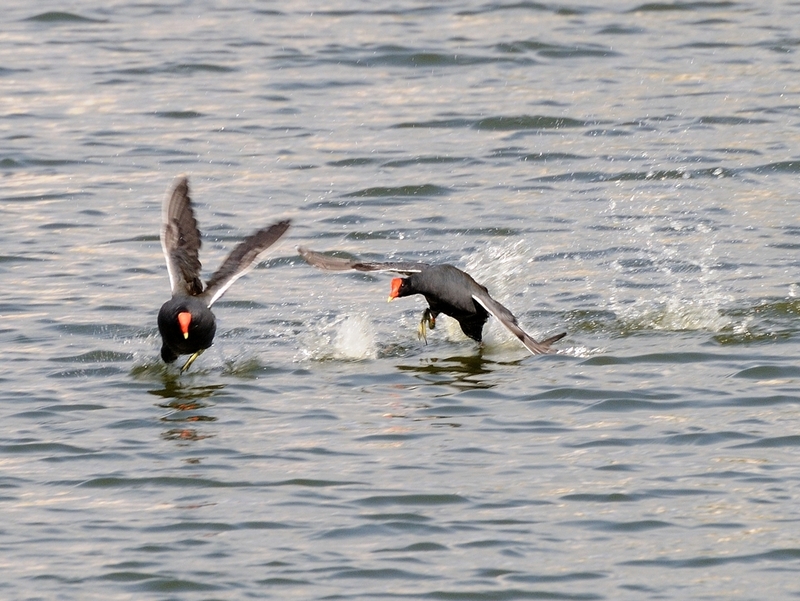 The fight was on, these guys looked like tiny Kung Fu Fighters as they each reared back with kicks to the body and face. After a few minutes of this though, there was a winner and the loser rolled on his side to show submission. 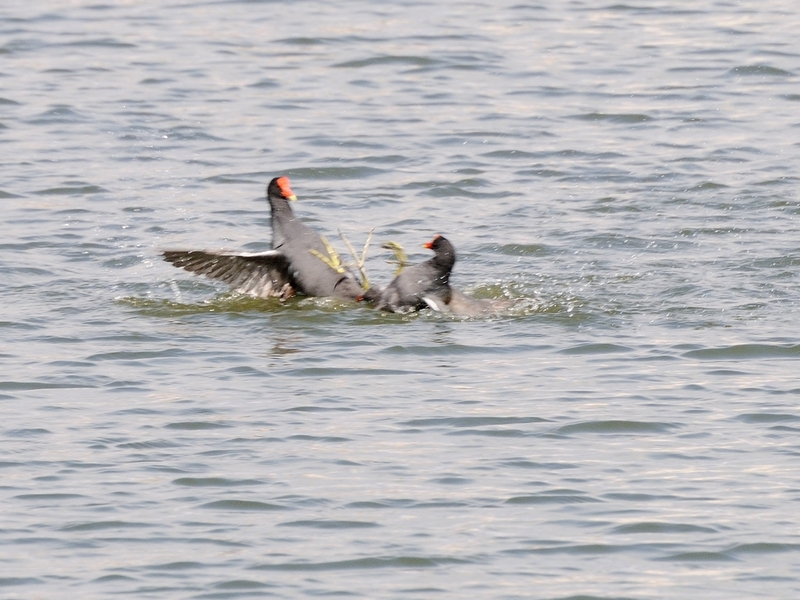 The winner continued to force submission displays as the swam back to the nesting island. An unexpected action bonus at the rookery. 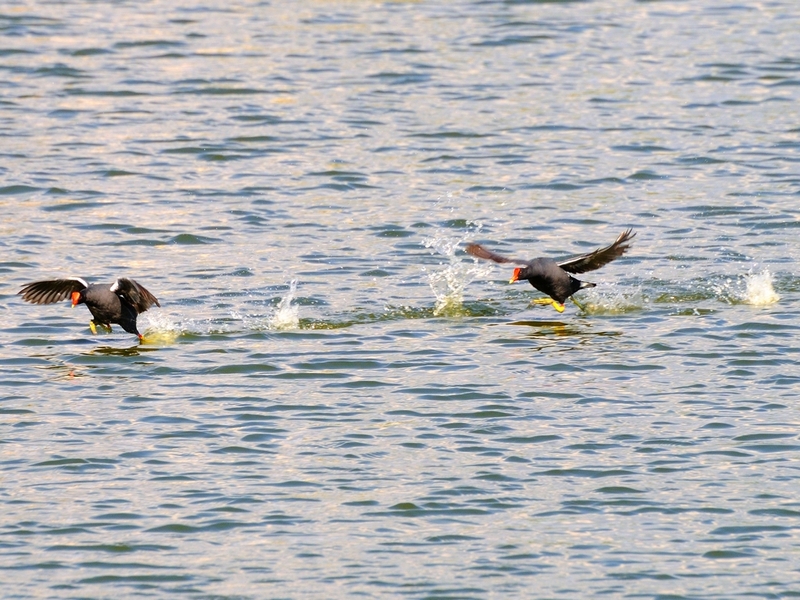 This entry was posted in animal behavior, Bird and tagged common moorhen, fight, mating behaviour, Photography, rookery. Bookmark the permalink.